the best way is to zboss them. 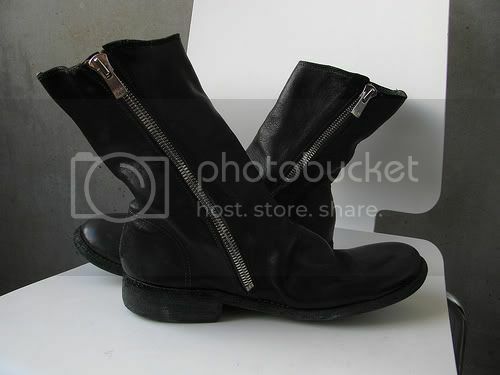 Guidi back zips... horse or baby calf ? I always think of the back zips being a delicate shoe due to the folds on the front and the form fitting shape. As a result I think baby calf works better due to its softer nature. Thats just my opinion though. The obvious advantage of horse is that they would last a lifetime. I find that the horse backzips crease better - smoother and more elegant. The calf leather wrinkles a little bit more. Appreciate your thoughts. I've noticed that most places order them in horse, for whatever reasons i don't really know. In anycase, horse has been what i'm leaning towards for awhile now, while searching for my size and colour. ^Even if they don't have your size in the right material, you can do a special order, right? did you try on the donkey? personally, the baby calf is too delicate for my tastes, so i would go with the horse. i tried, but the donkey kicked me in the nuts. What about kangaroo? Some of the SS2010 styles will come in that. Anyone link me to some more pics of these 'purple' boots please? I don't have a link, but I just purchased the purple derby from the same place! on the backzips the zipper vertically divides the "heel cap" into two pieces resulting in a less than snug fit.. also, over time, the zipper has a tendency to rub on the back of my feet/heel which can get uncomfortable over time. honestly backzips always grabbed me at first but after experience i would chose a side zip as for the reasons stated above. If you are looking for a tight boot then a side zip is far better, for the best of both carol and avantindietro do a spiral obviously. hey guys,sizing question. 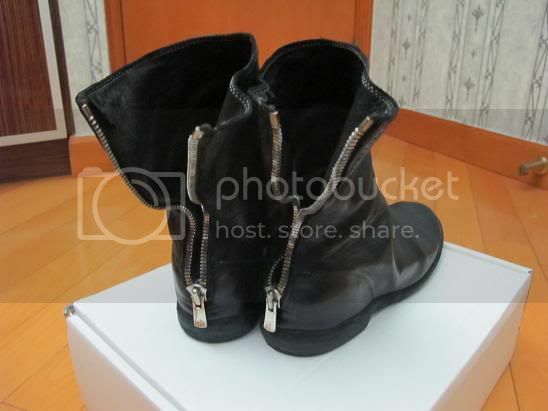 if im 8.5-9, what size of this horse leather,back zip should fit me?